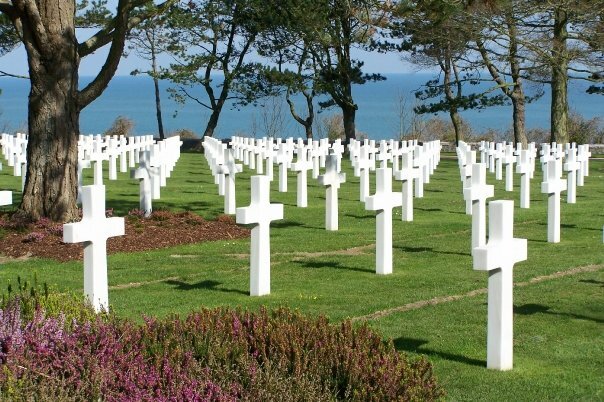 Of the many days in this country’s history that are important and should always be remembered (July 4, 1776, December 7, 1941, September 11, 2001, and many, many more) the Invasion of Normandy must be listed as one of this nation’s greatest military achievement. Because of the daring and cunning of the political and military leadership, and the courage and tenacity of the men on the ground, the D-Day invasion stopped Hitler and Nazi Germany and all its evils. This one battle changed the course of the war. But to achieve this end, many lives were sacrificed, many men gave their all. There are battles that were bloodier in the Civil War. There were fire-fights that were more terrifying in Korea or Vietnam. But this offensive changed the course of history in a way few others ever will. To those men who stormed the shores of Normandy, whether still living or long gone, we say “Thank You.” May your valor never be forgotten.